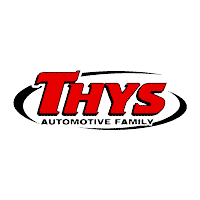 When you’re in the market for a used vehicle, you should never have to worry about quality, which is why Thys Automotive Family carefully inspects every used car in our inventory. We have plenty of used vehicles, as well as used models from a range of top brands for you to choose from. Take a look at our inventory, then come see us to get a closer look! 2004 Ford F-250SD XLT Supercab 4WD HD Automatic Transmission with the 5.4L V8 Engine. Kept in the same family since new. Comes with Power Locks, Power Windows, Cruise, Air Conditioning and more. See this 4x4 F250 at Thys in Belle Plaine. Contact Dave, Tyler or Ryan for more info anytime. Clean and Well Maintained Local Trade. One Owner with Good Tires and minimal rust. 2002 Dodge Neon SE FWD with an Automatic Transmission, 2.0L 4-Cylinder SOHC 16V Engine, Remote Start, Keyless Entry, Power Locks and Windows, Cruise, Air Conditioning and more. This one's in very, very nice shape especially for the year and price. See Dave, Tyler or Ryan in Belle Plaine for more info. Clean, Locally Traded 2006 Town and Country LXi. Well maintained with good tires. 7 Passenger Seating with Cloth Interior . Some rust but came in clean inside and out especially for the year and miles. Excellent budget vehicle. See Dave, Tyler or Ryan in Belle Plaine for more info. Rare and Clean One Owner 1999 Ford F-150 Supercab XLT 2WD with a Manual Transmission and 4.2L V6 Engine. Well maintained with a spray in bed liner, power locks, power windows, cruise control, air conditioning and more. Excellent tires too! See Tyler, Dave or Ryan at our Belle Plaine store for more info on this 2 wheel drive pickup today. Very Clean and Well Kept 2004 Nissan Pathfinder SE 4WD with New Tires! Leather, Sunroof and more. Local Area Trade with the 3.5L V6 Engine. Body is in great shape. Inspected and ready to go. See Dave, Tyler or Ryan for more info in Belle Plaine today. Local trade, Originally a TX truck so it hasn't seen many Iowa winters and has almost no rust. Rebuilt title from 05 with not many miles on it. Like new duratrac tires, Very clean interior, previous owner has kept it up very well. 2004 Chevrolet Silverado 2500HD LS RWD Allison 1000 5-Speed Automatic Duramax 6.6L V8 Turbodiesel. Come see Tyler or Dave for more info anytime. Clean, Locally Traded 2011 Chevrolet Cruze 1LT in Crystal Red Metallic. FWD, Automatic, ECOTEC 1.4L I4 DOHC VVT Turbocharged Engine, Keyless entry, Bluetooth for phone, 1LT trim, Odometer Disclosure present. Rated at 24/36 City/Highway MPG. Awarded 2011 IIHS Top Safety Pick. Fantastic value car for work or school. See Tyler, Dave or Ryan in Belle Plaine for more info. 2002 Dodge Ram 1500 Magnum 5.9L V8 SMPI 4x4 Regular Cab *Local Trade In*, Magnum 5.9L V8 SMPI, 4WD. Also has cab boards & mud flaps. This truck runs and drives great along with this being a hard to find Regular Cab. This vehicle passed a full mechanical and structural inspection. Vehicle includes fresh oil and filter change. All fluids topped off and it has been fully detailed. Please call to confirm it is still available! Price does not include sales tax, title, service fee, finance charges, documentation charges, and any other fee required by law. *See Dealer For Details . One Owner, Local Trade, Sold new here! 2012 Ram 1500 Big Horn Red RWD with the HEMI 5.7L V8 Engine. Keyless entry, Fog Lamps, Push Button Start, Traction Control, Power Locks and Windows, Trailer Tow, Cruise, Air and More. Call, email or stop by and see us in Belle Plaine for more info. 2016 Kia Forte LX 2.0L I4 DOHC Dual CVVT *No Accident Vehicle History Report*, *One Owner*, *Local Trade In*, Forte LX, 2.0L I4 DOHC Dual CVVT, FWD, graphite steel metallic, Black Cloth. This vehicle passed a full mechanical and structural inspection. Vehicle includes fresh oil and filter change. All fluids topped off and it has been fully detailed. CERTIFIED 3 MONTH / 3000 MILE WARRANTY IS INCLUDED (with qualifying vehicles) Remainder of Factory Warranty if Applicable. Please call to confirm it is still available! Price does not include sales tax, title, service fee, finance charges, documentation charges, and any other fee required by law. *See Dealer For Details . Recent Arrival! Because we keep a variety of pre-owned options in stock, we’re confident you’ll find a model you love within your budget. We even have an inventory of used vehicles priced under $10,000 – great for new drivers! Feel free to contact us if you have any questions while searching our used inventory, and be sure to check out our certified pre-owned inventory while you’re at it. When you’re ready to take a test drive, our dedicated sales team will be standing by at each of our three Eastern Iowa locations. We look forward to helping you find a quality pre-owned vehicle to take home to !